The boardroom is the nerve centre of any business. Office Update provide professional stylish solutions to the most important areas of your business. 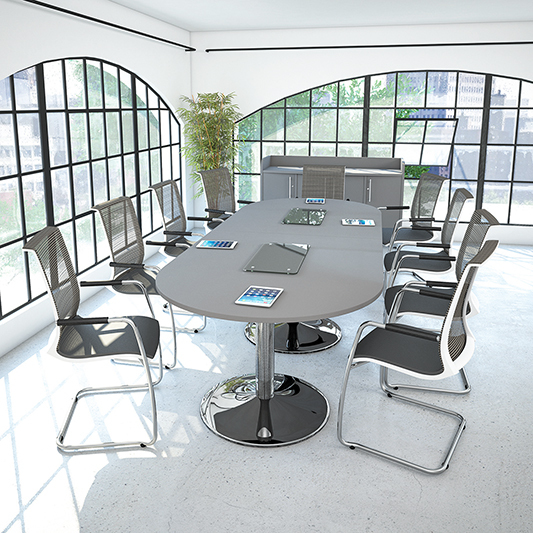 When it comes to office boardroom furniture, choose from rectangular, boat, elliptical and D-ended shaped table tops alongside a variety of traditional and contemporary leg frames. Mounted glass inserts and inset power units are available to add the finishing touch to your meeting table. We also supply conference tables including multi-purpose tables, space saving tilt top and folding options all available in over 12 MFC wood finishes.